In 1970, on his second tour to Vietnam, Nick Brokhausen served in Recon Team Habu, CCN. Officially, it was known as the Studies and Observations group. 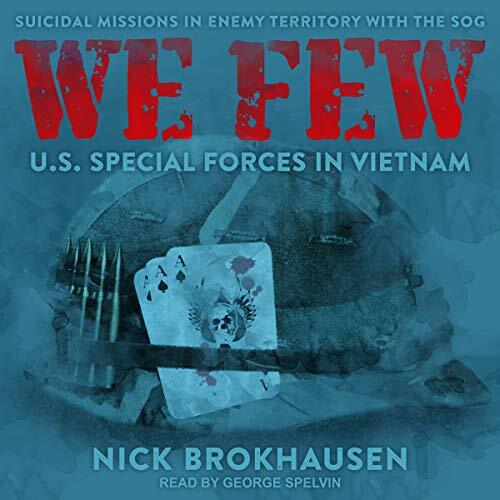 In fact, this Special Forces squad, which Brokhausen calls "an unwashed, profane, ribald, joyously alive fraternity", undertook some of the most dangerous and suicidal reconnaissance missions ever in the enemy-controlled territory of Cambodia and Laos. But they didn't infiltrate the jungles alone. They fought alongside the Montagnards - oppressed minorities from the mountain highlands, trained by the US military in guerrilla tactics, armed, accustomed to the wild, and fully engaged in a war against the North Vietnamese. Together, this small unit formed the backbone of ground reconnaissance in the Republic of Vietnam, racking up medals for valor - but at a terrible cost.